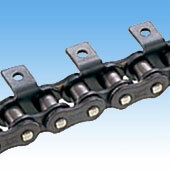 X-Lambda Chain uses an oil-impregnated felt seal to provide greatly increased wear life over Lambda Chain. You will be able to extend the period between replacements even further if currently using Lambda Chain. 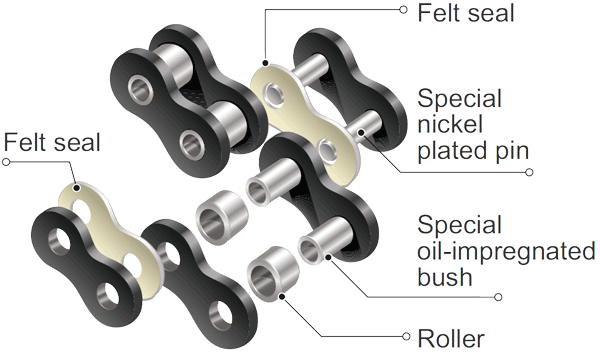 Interchangeable with Lambda Chain. However, the pins are longer than with Lambda Chain. Please check for interference with the equipment and attachment dimensions.